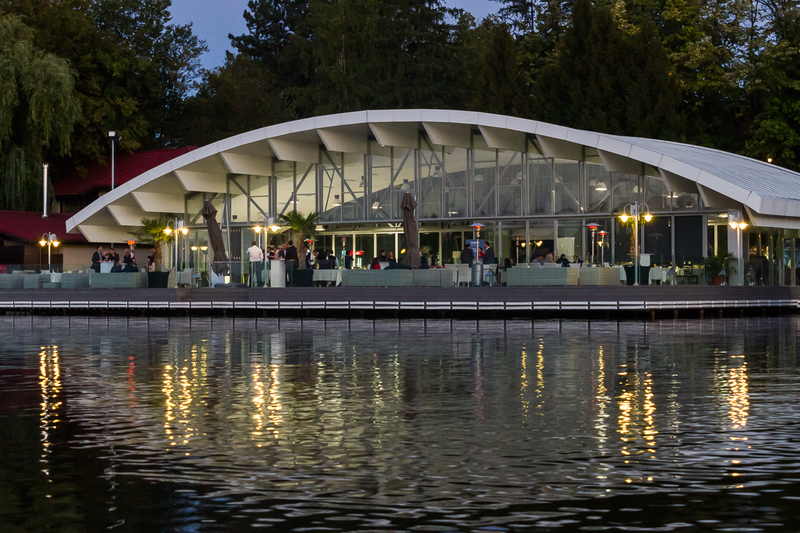 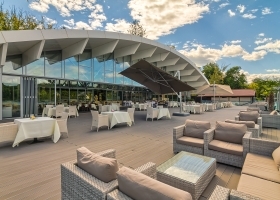 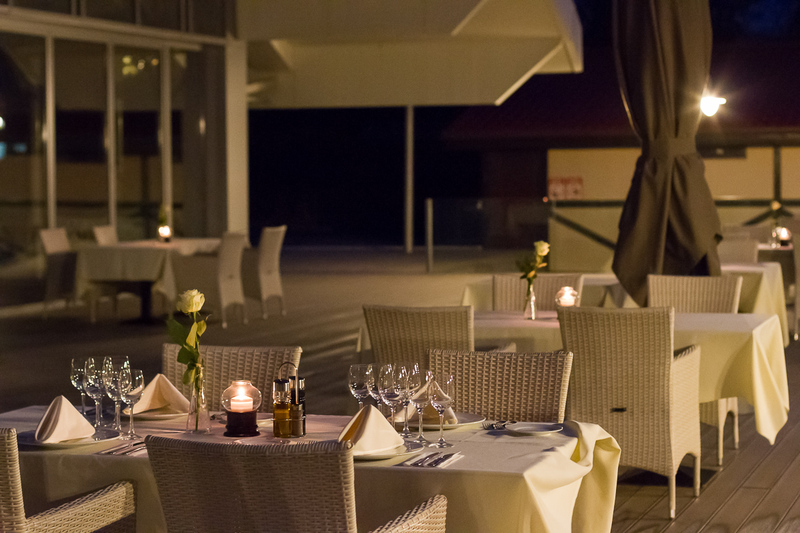 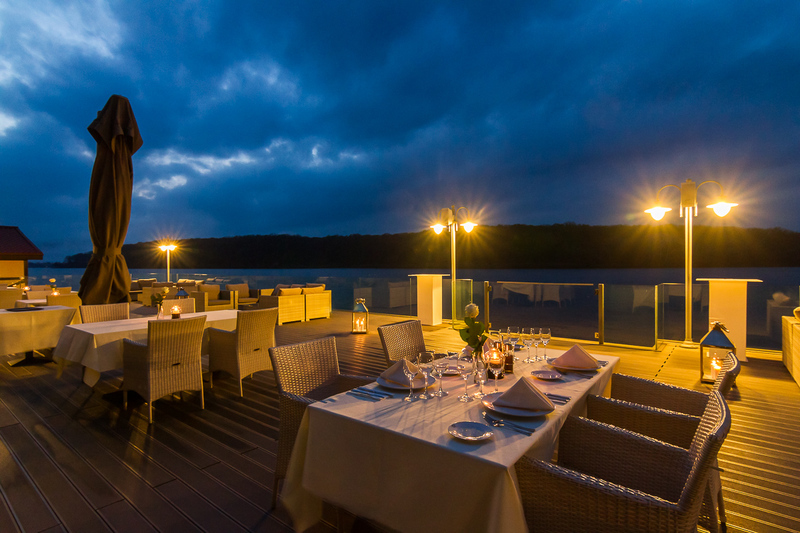 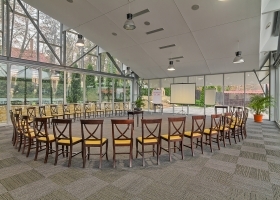 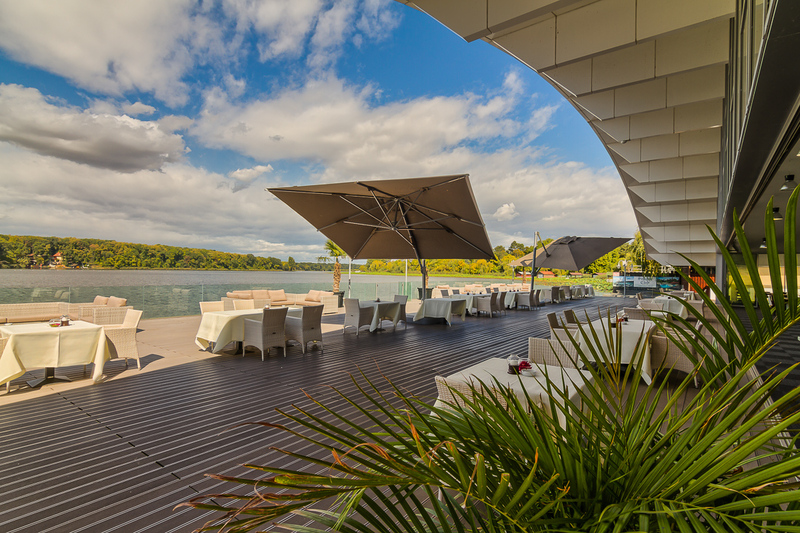 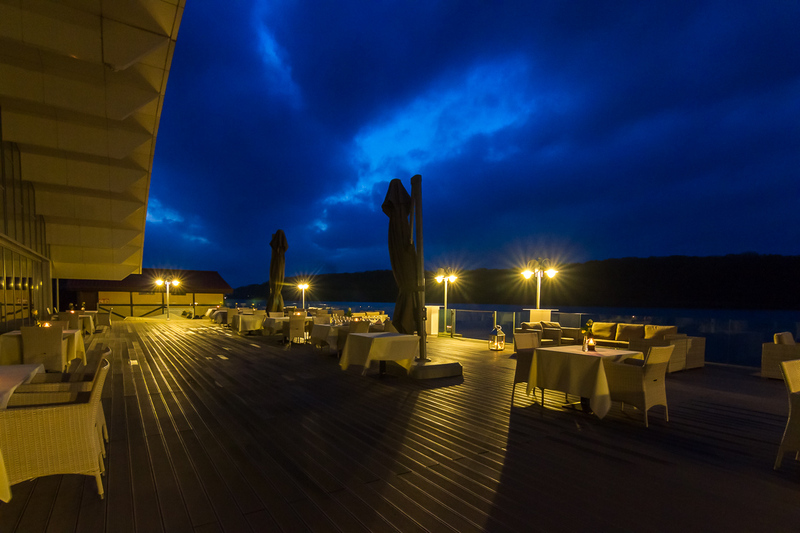 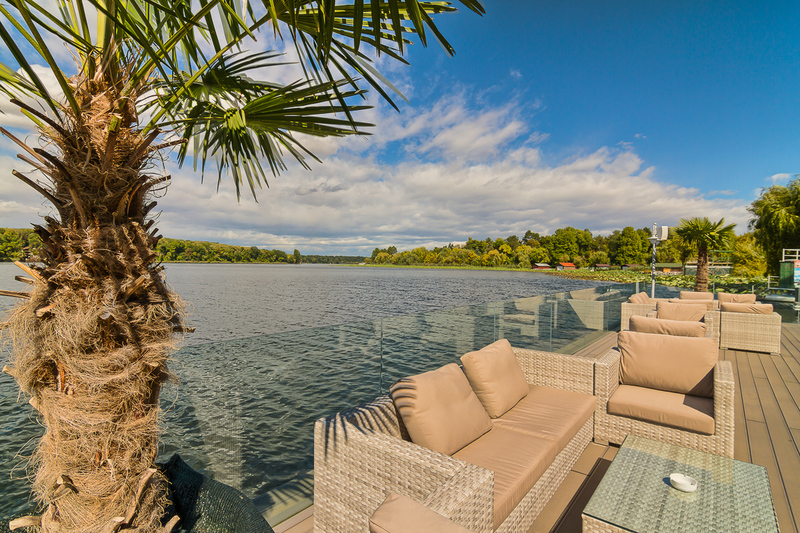 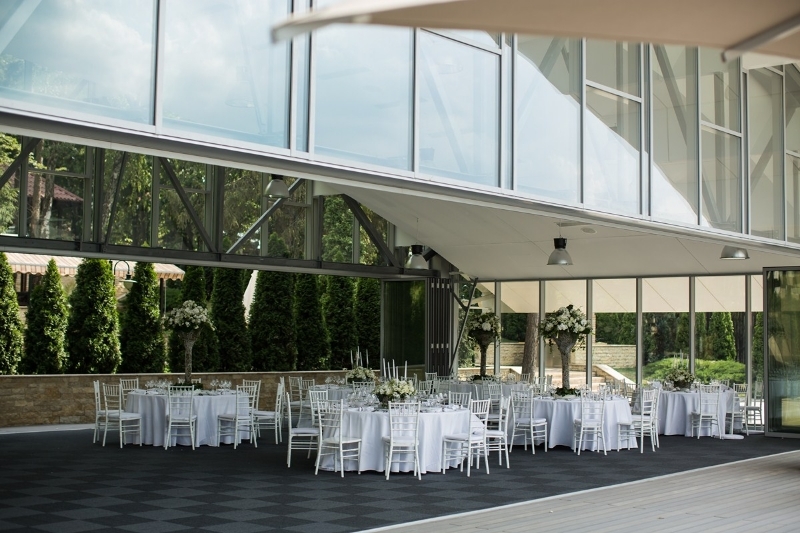 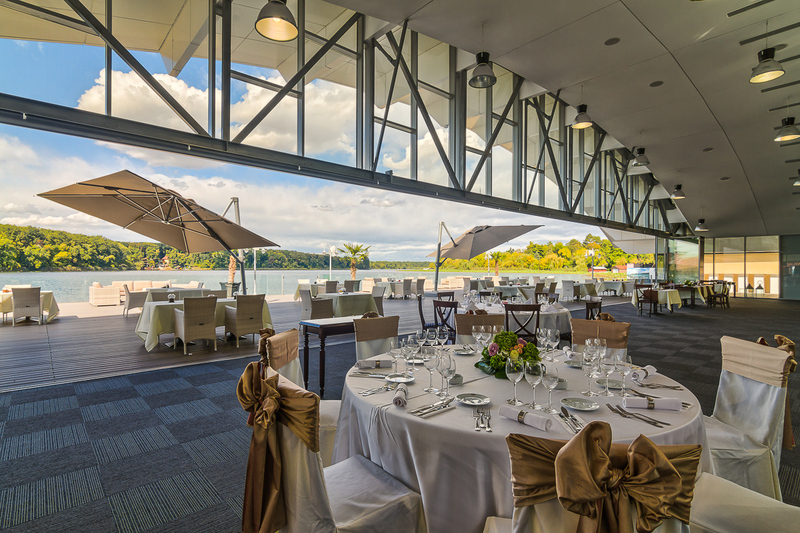 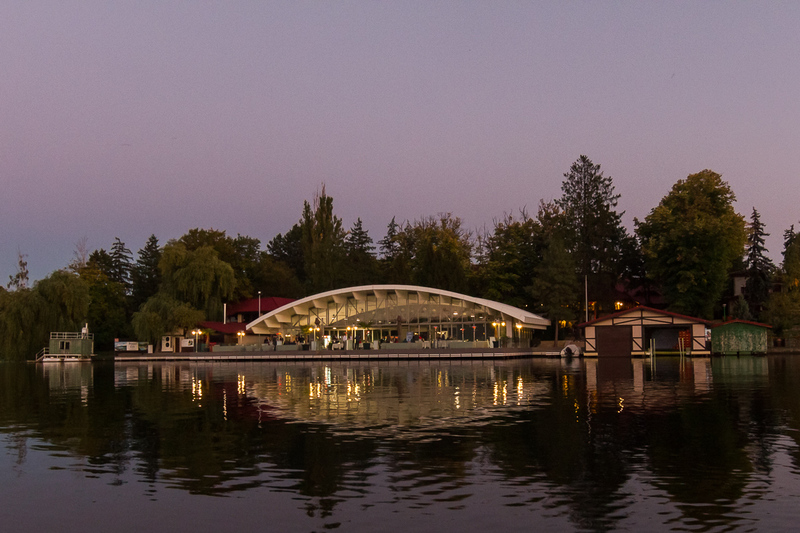 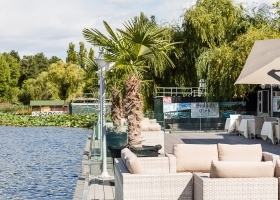 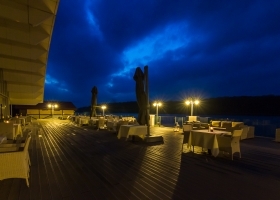 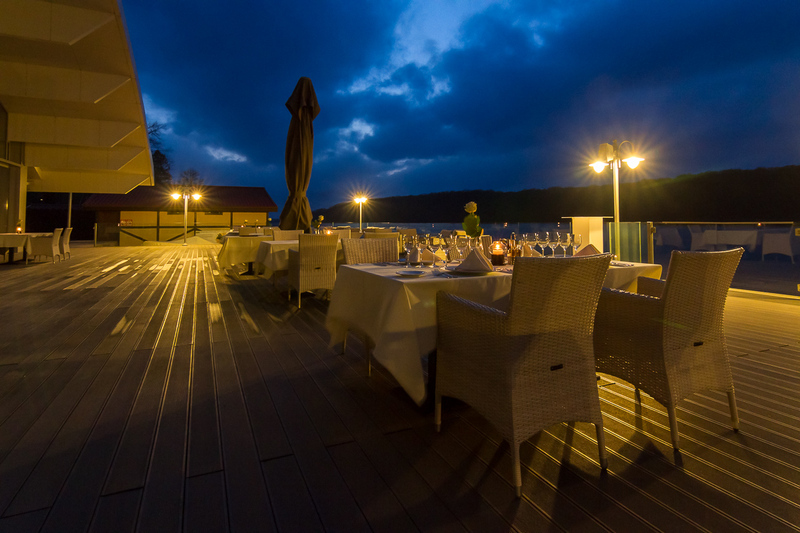 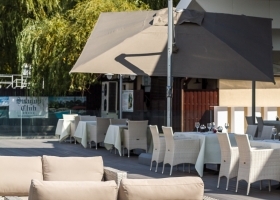 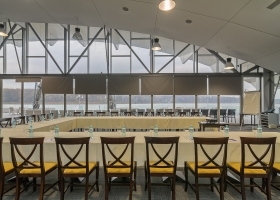 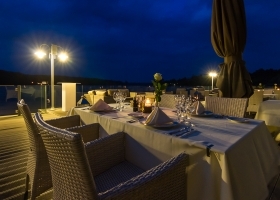 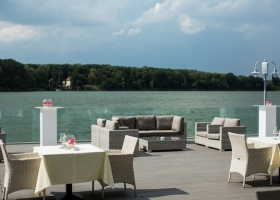 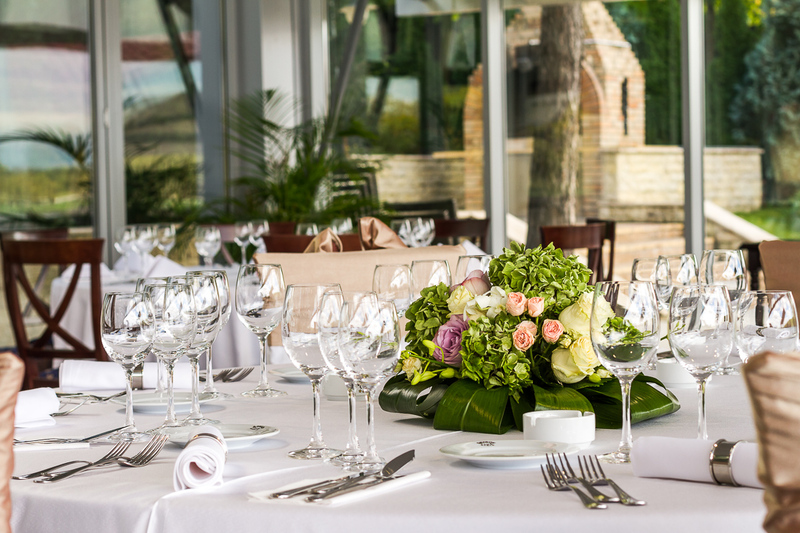 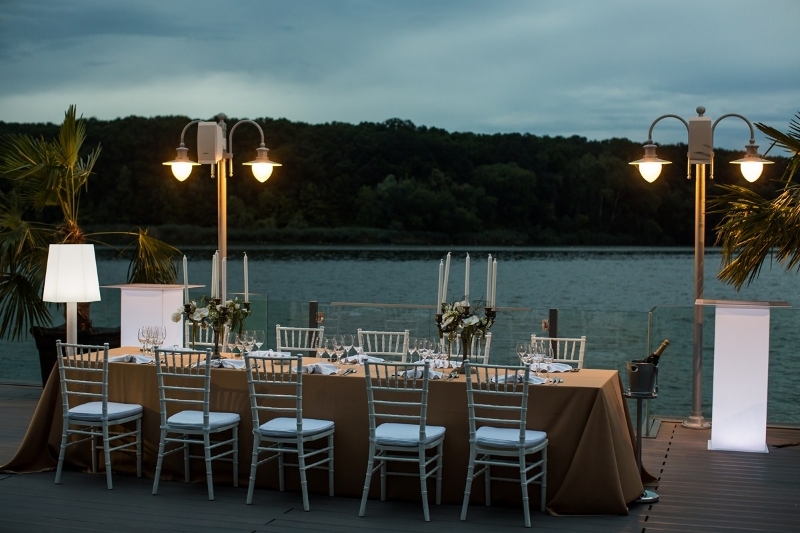 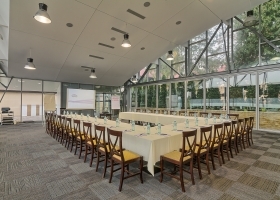 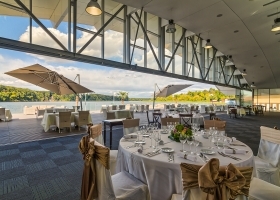 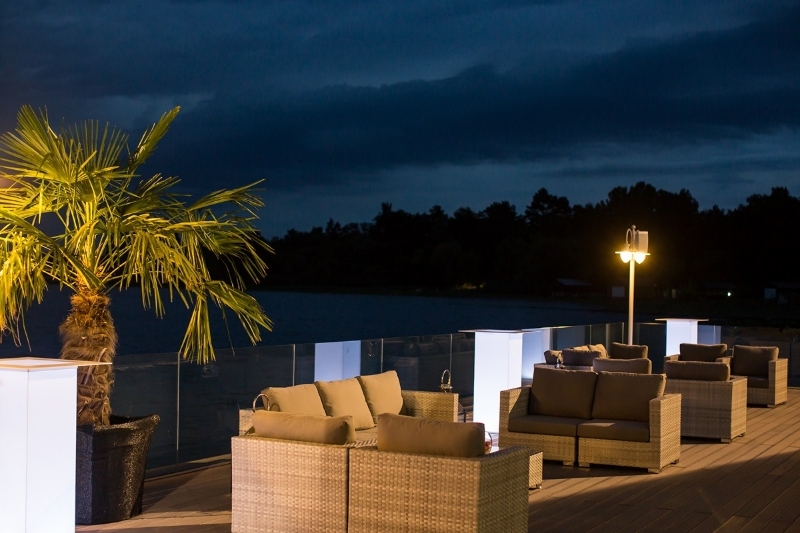 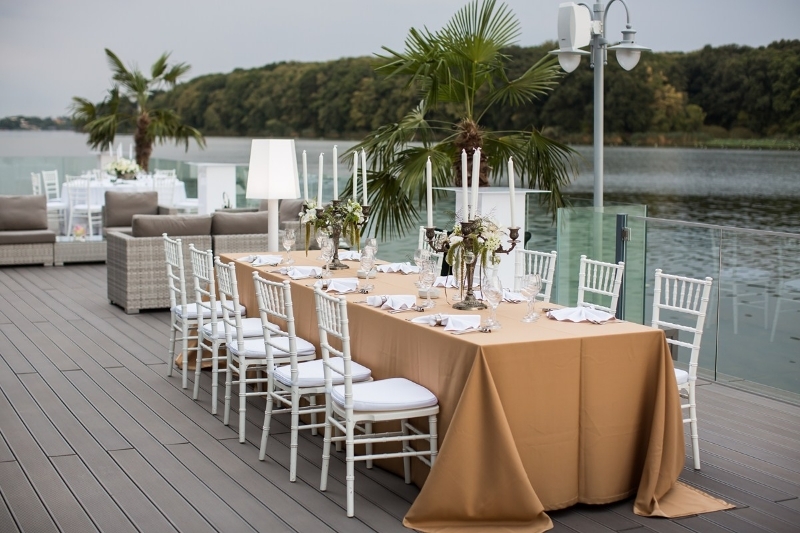 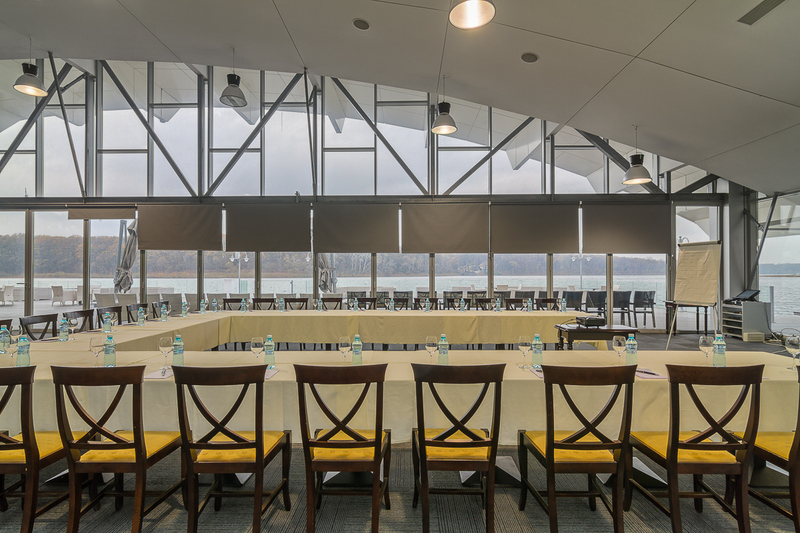 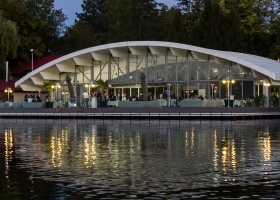 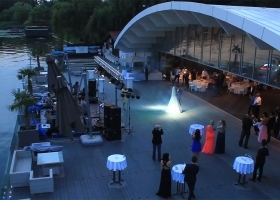 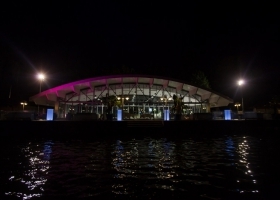 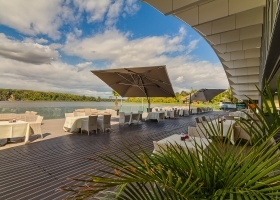 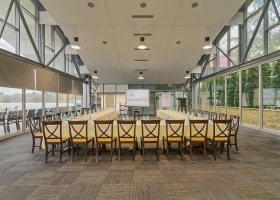 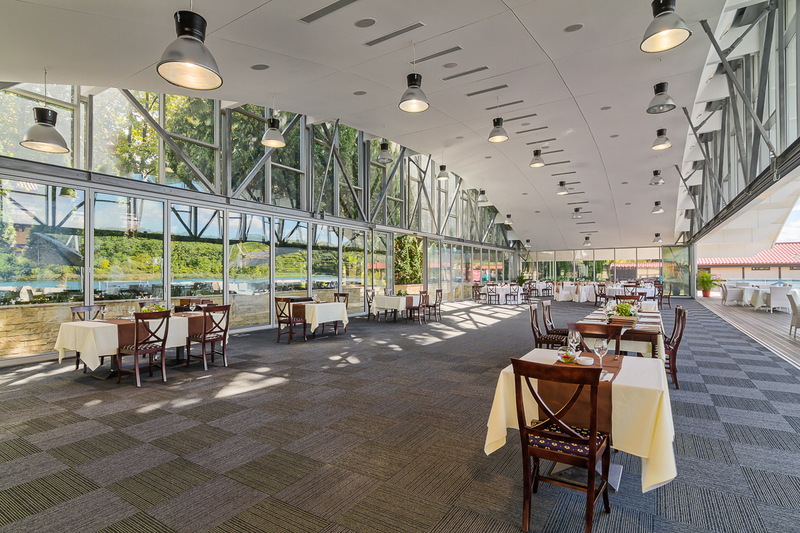 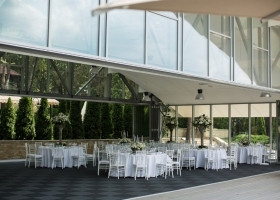 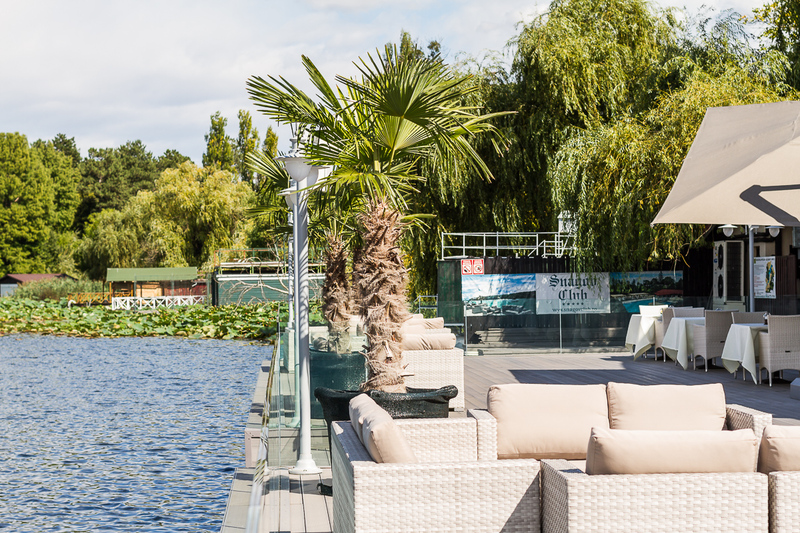 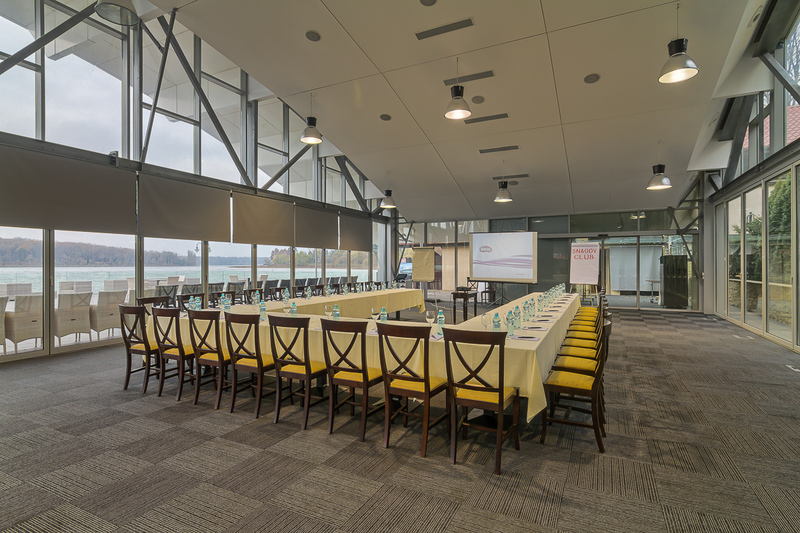 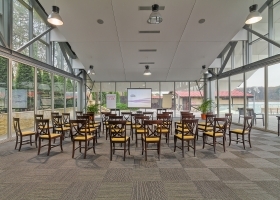 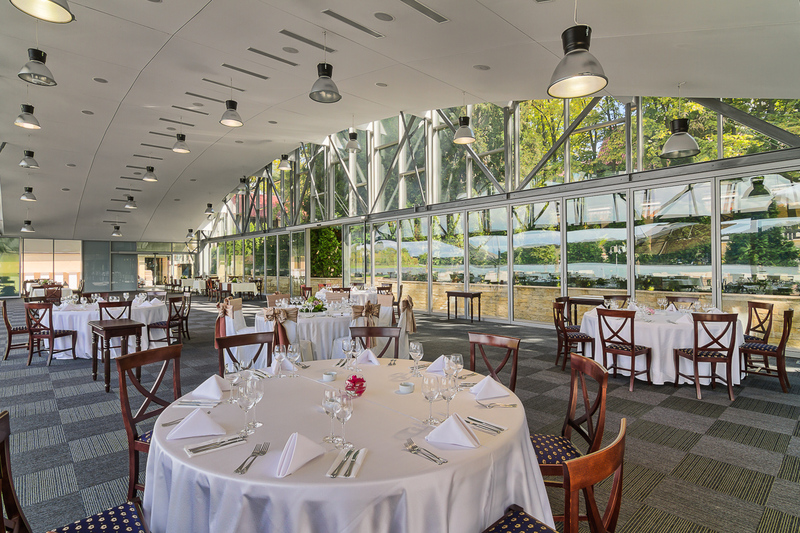 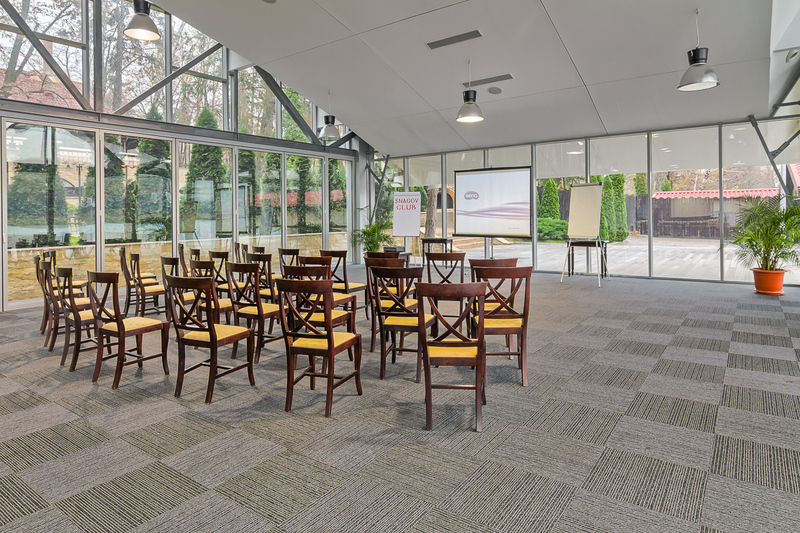 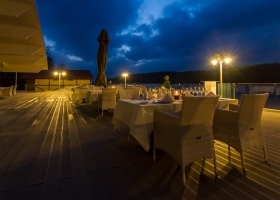 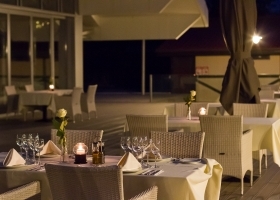 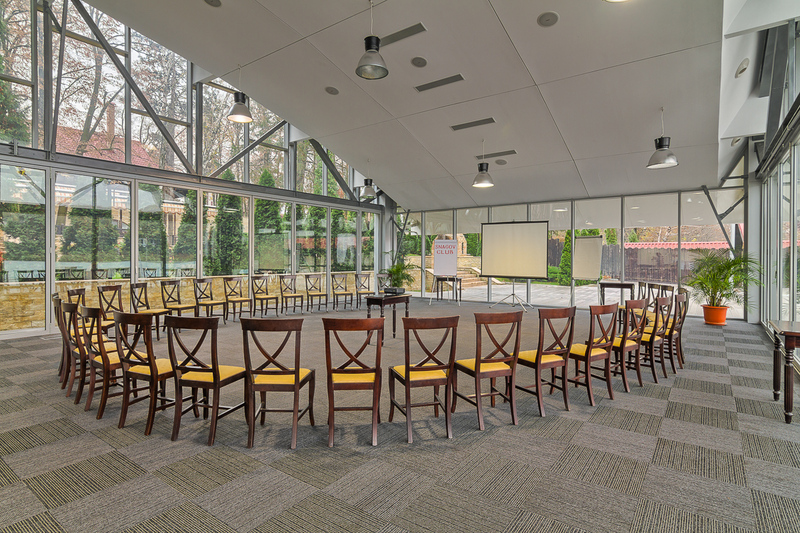 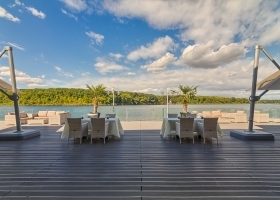 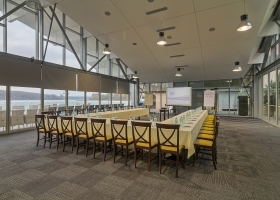 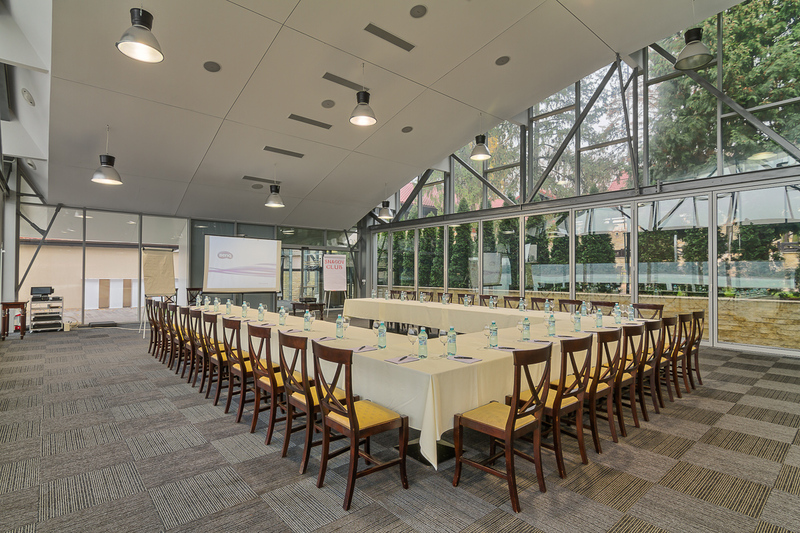 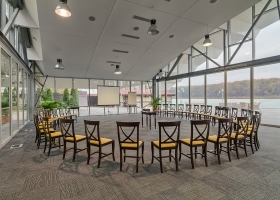 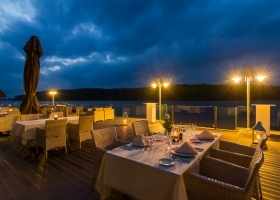 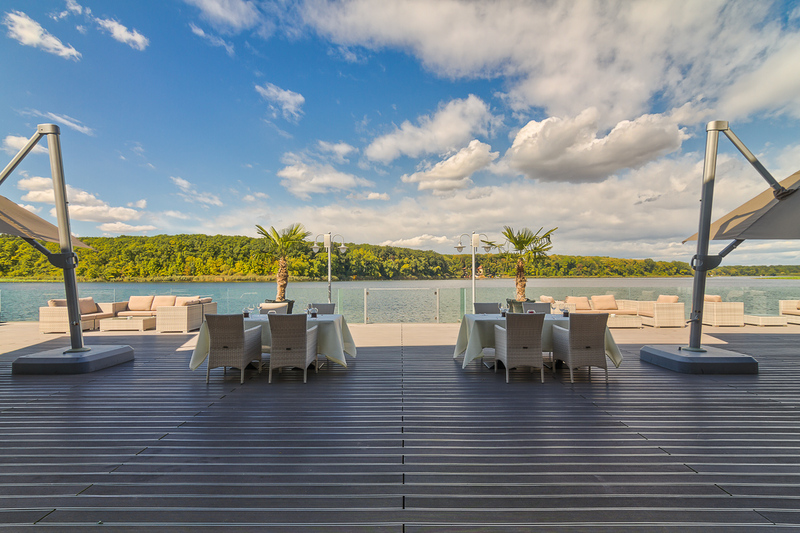 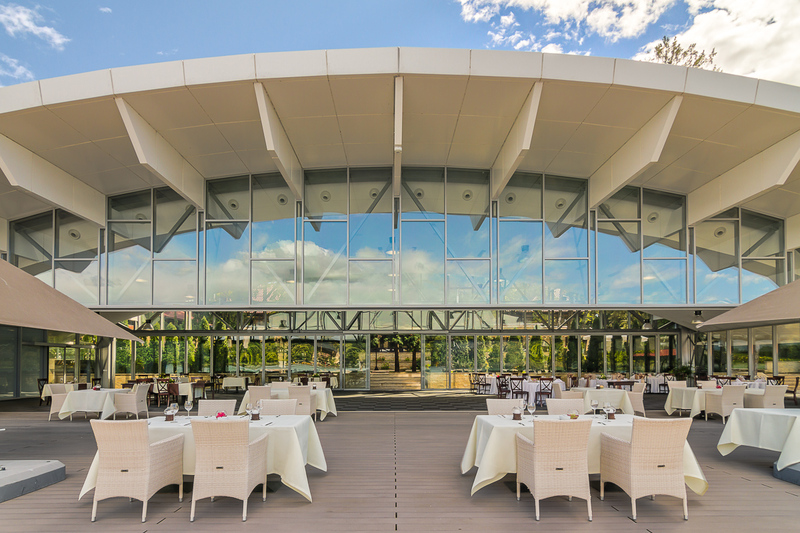 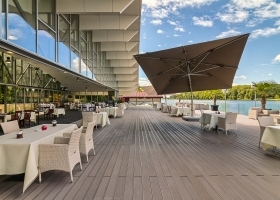 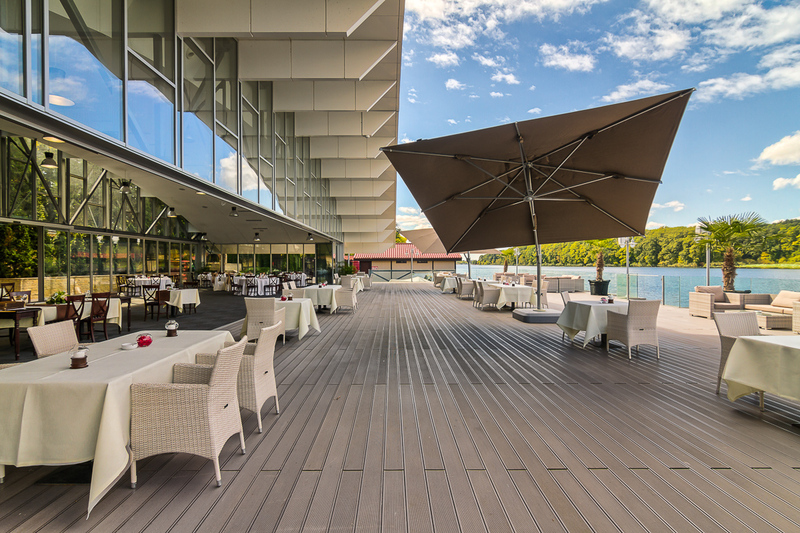 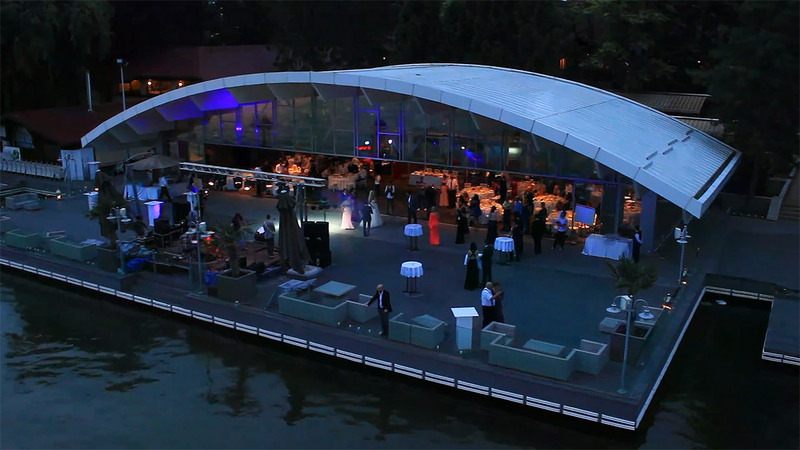 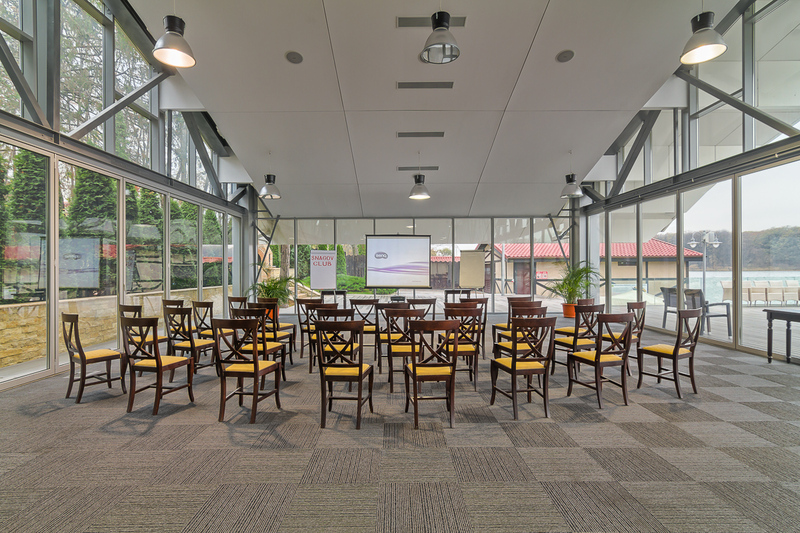 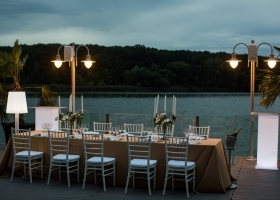 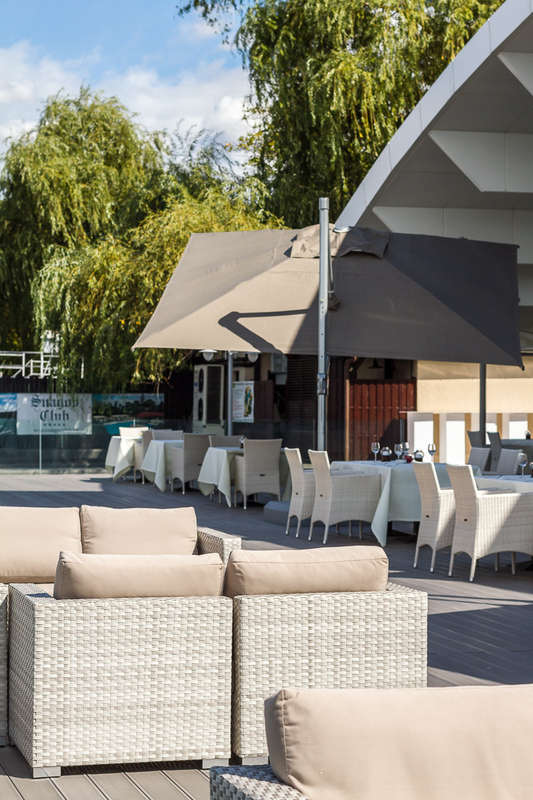 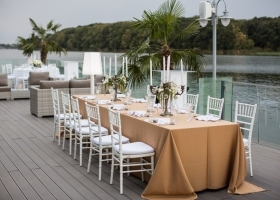 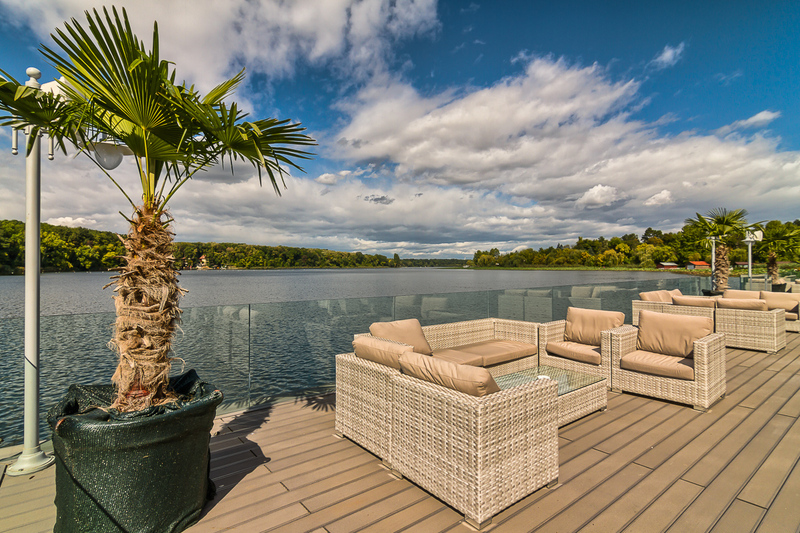 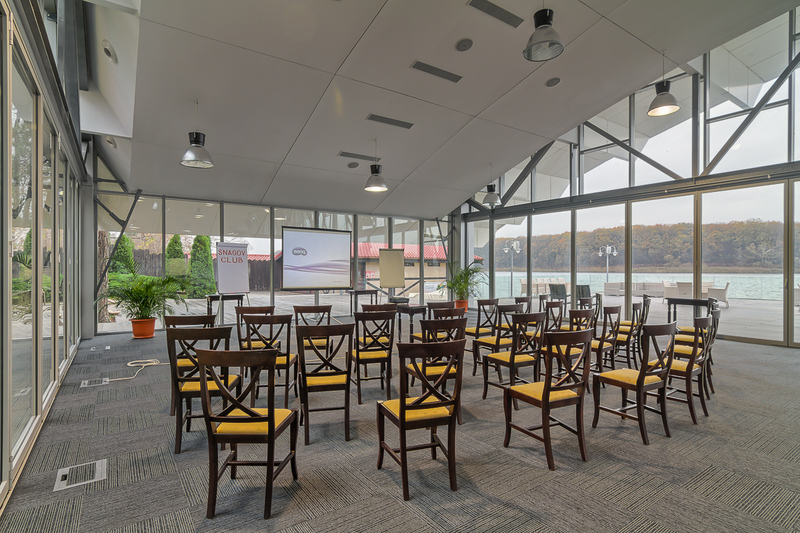 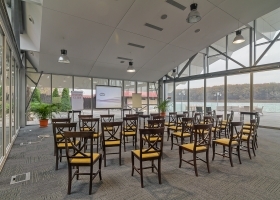 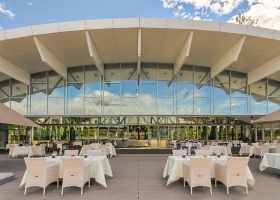 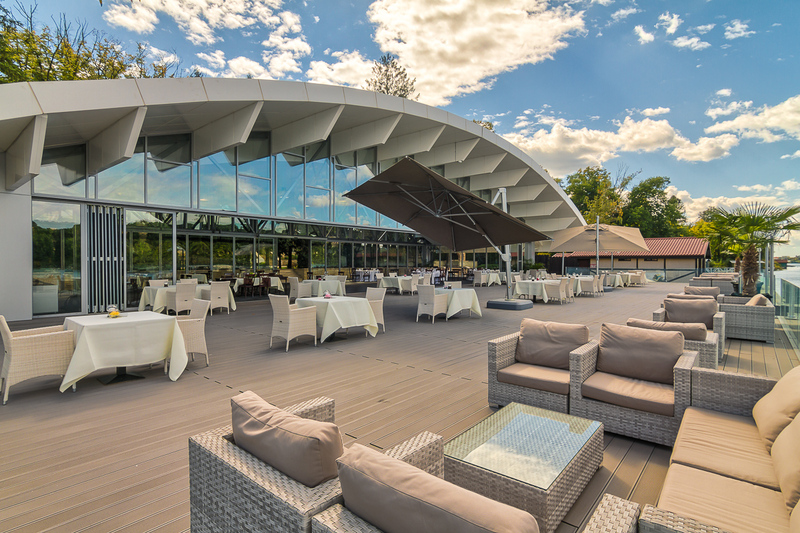 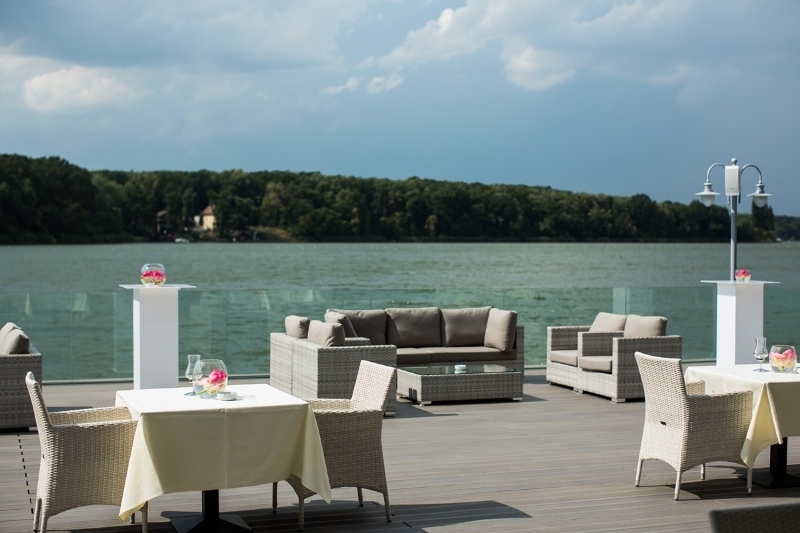 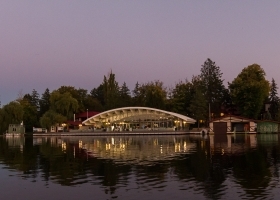 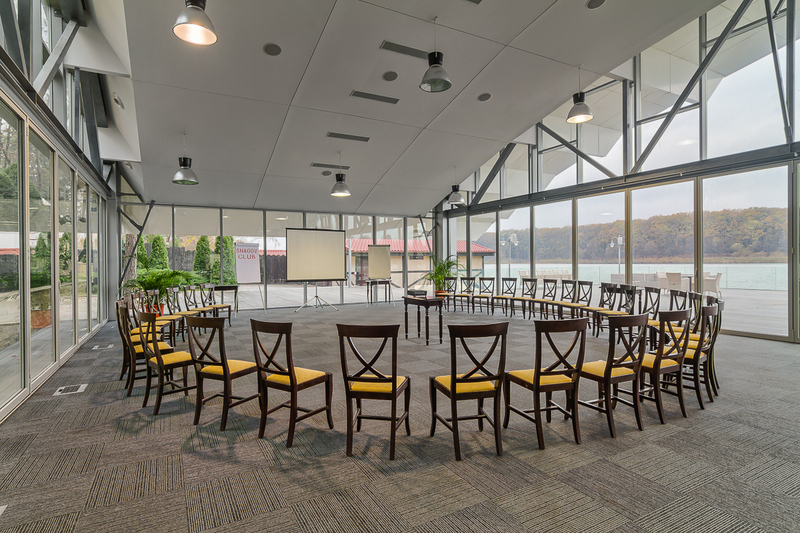 If you want to fully enjoy the beauty of the Snagov Lake and admire the colors of the garden vegetation at the same time, choose the Lake Pavilion – a modern jewel made of glass that reflects the water glow and the shivering shadows of the pines. 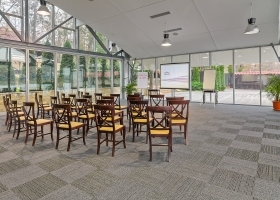 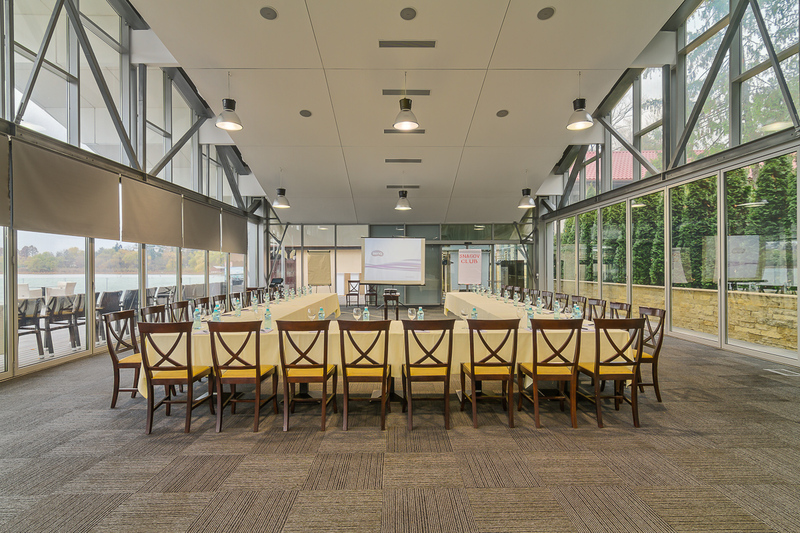 The feet sink into the soft carpet, the generous space shelters comfortable couches and elegant tables. 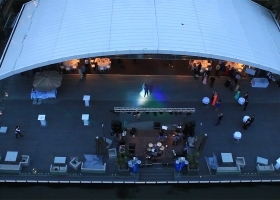 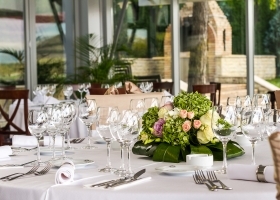 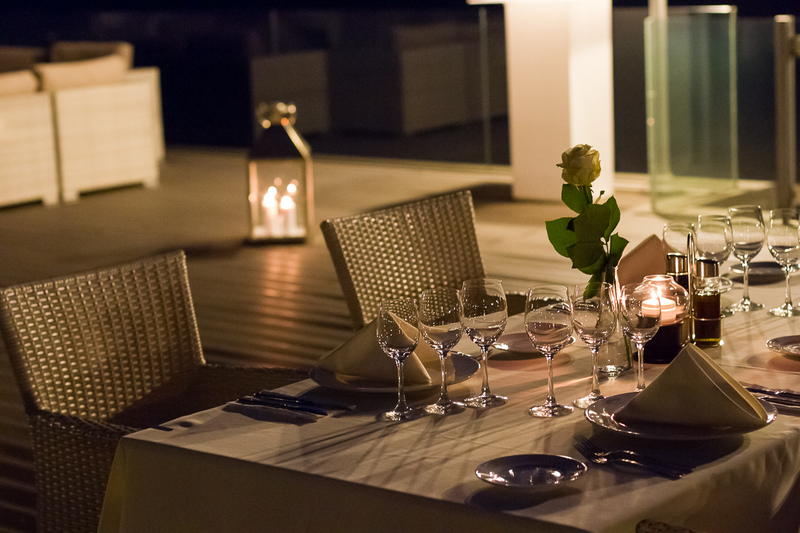 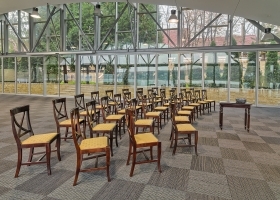 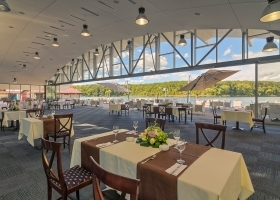 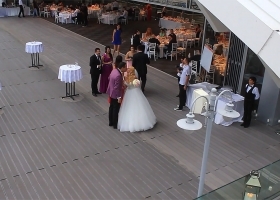 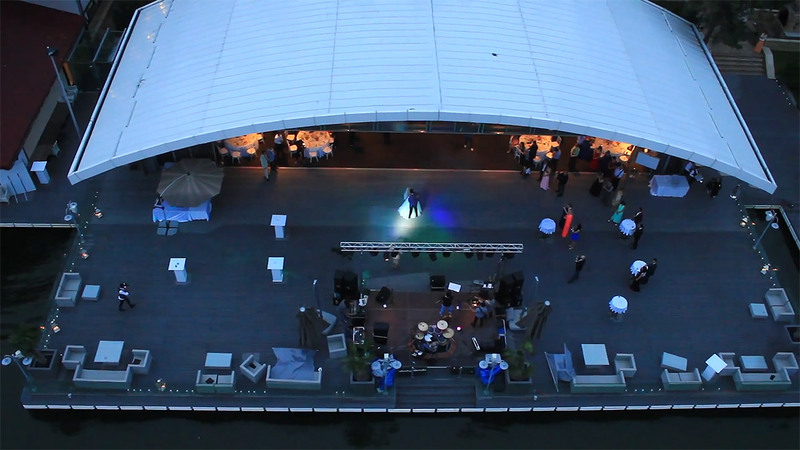 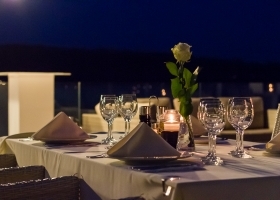 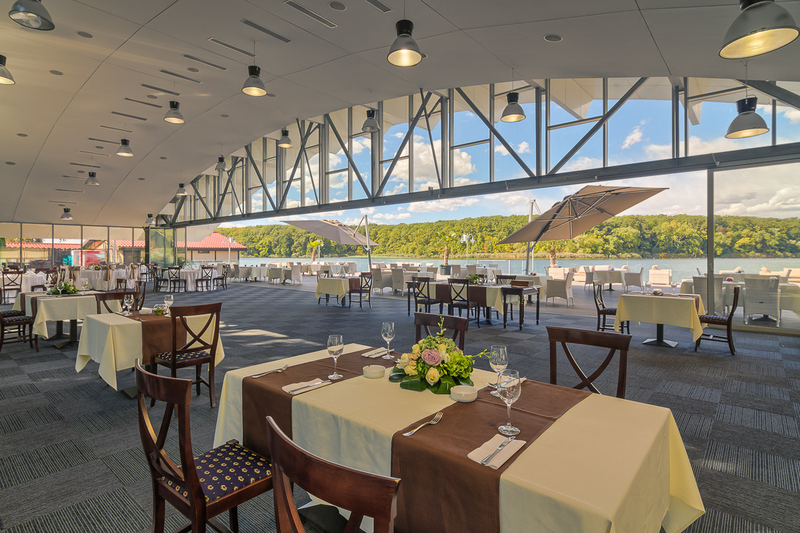 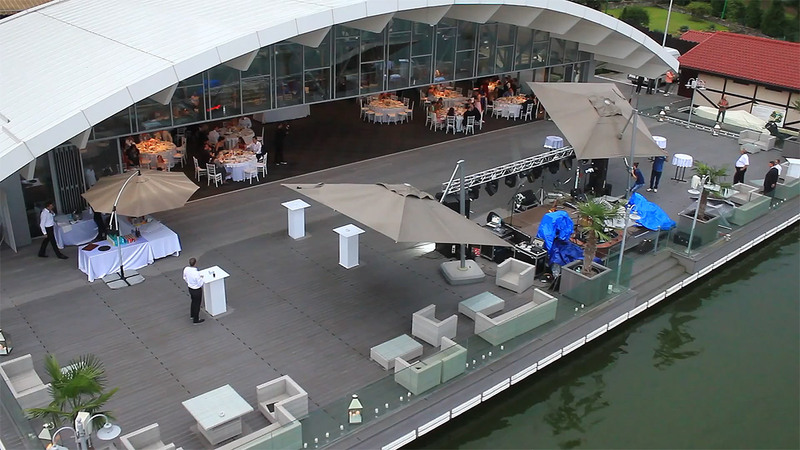 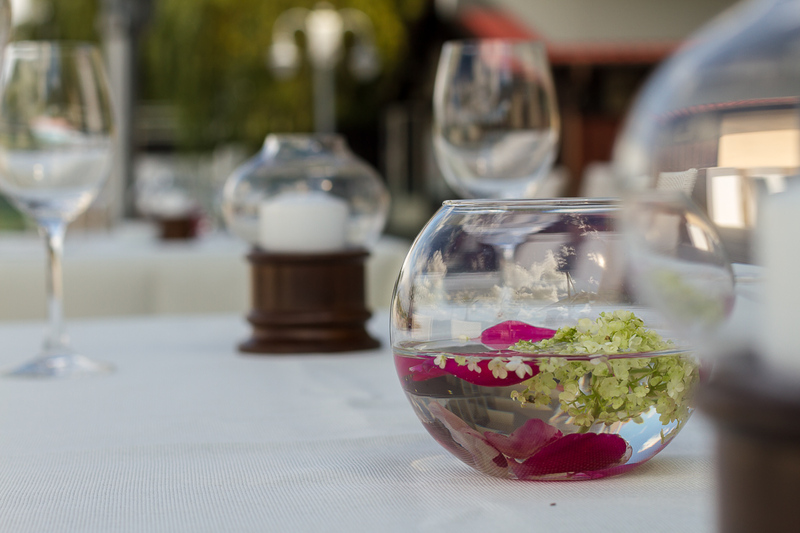 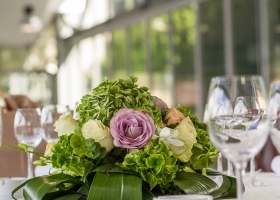 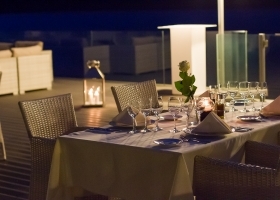 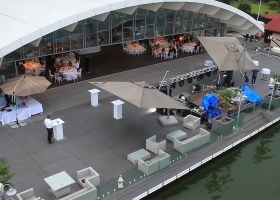 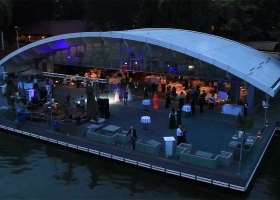 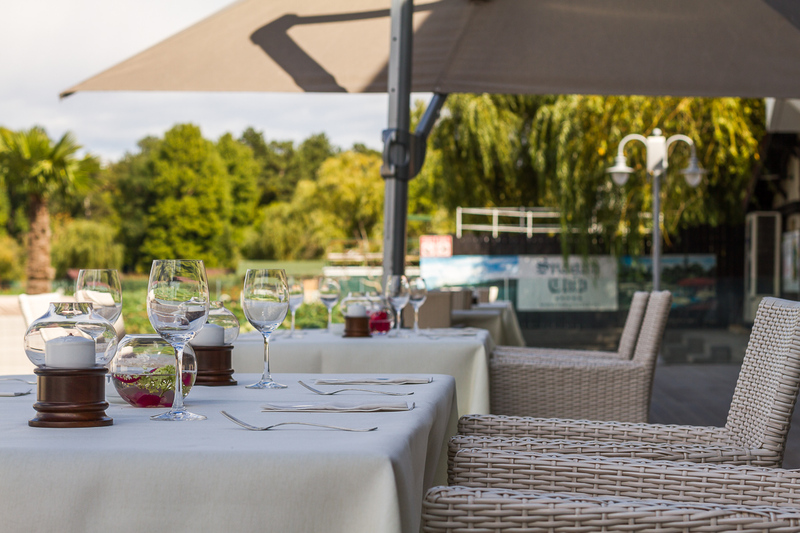 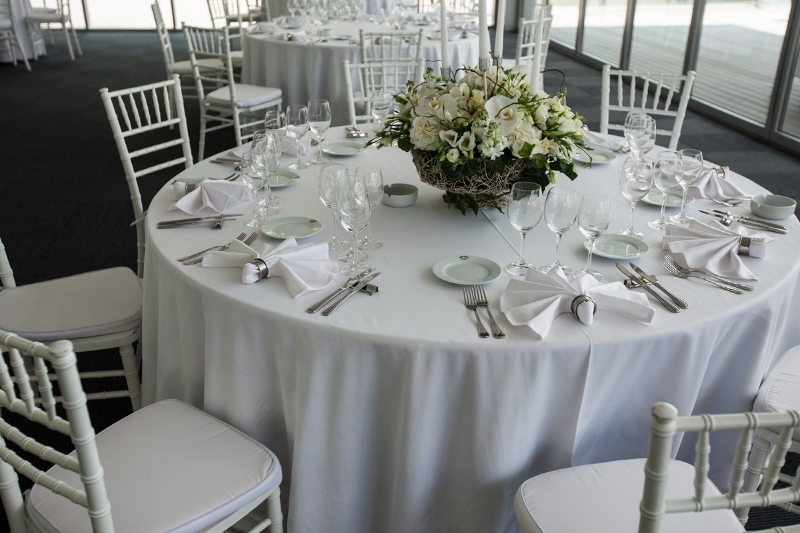 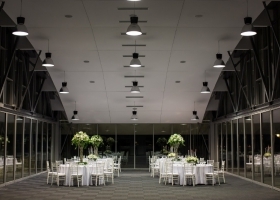 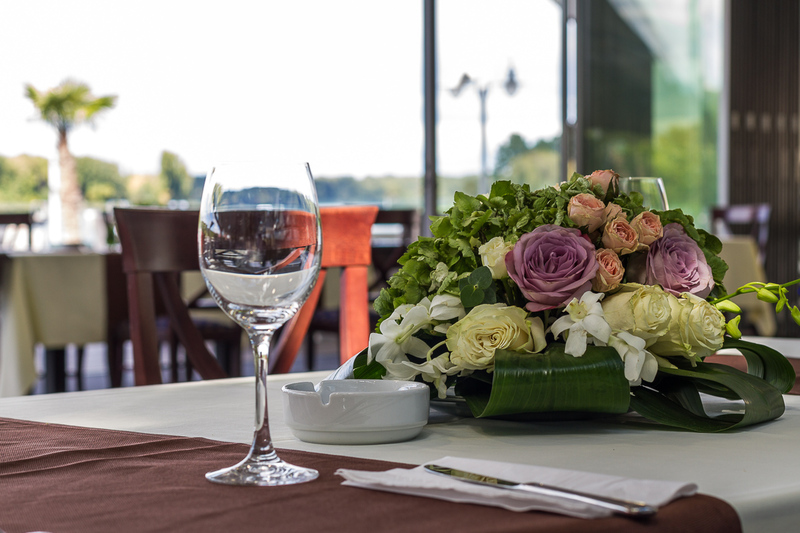 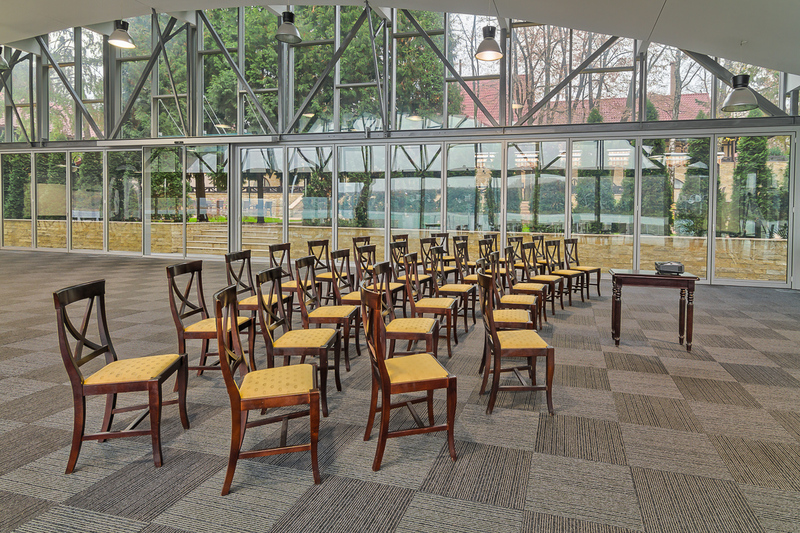 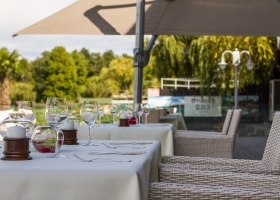 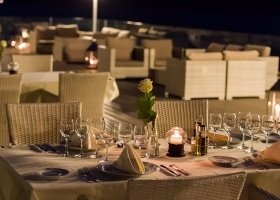 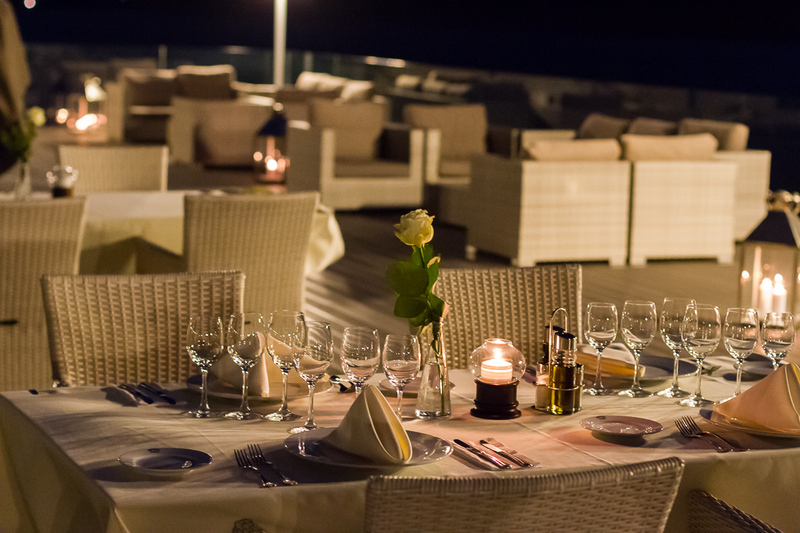 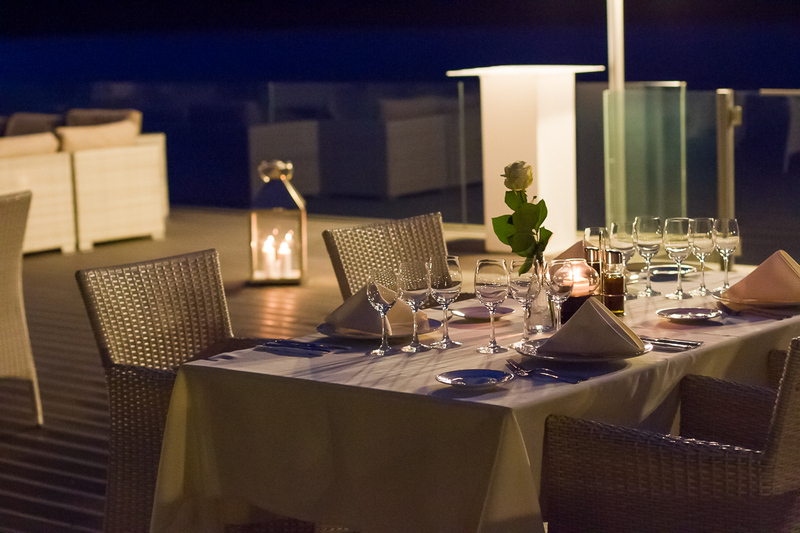 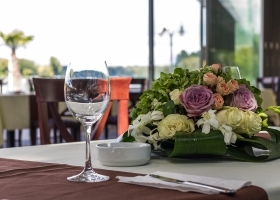 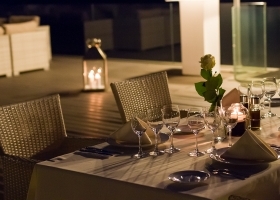 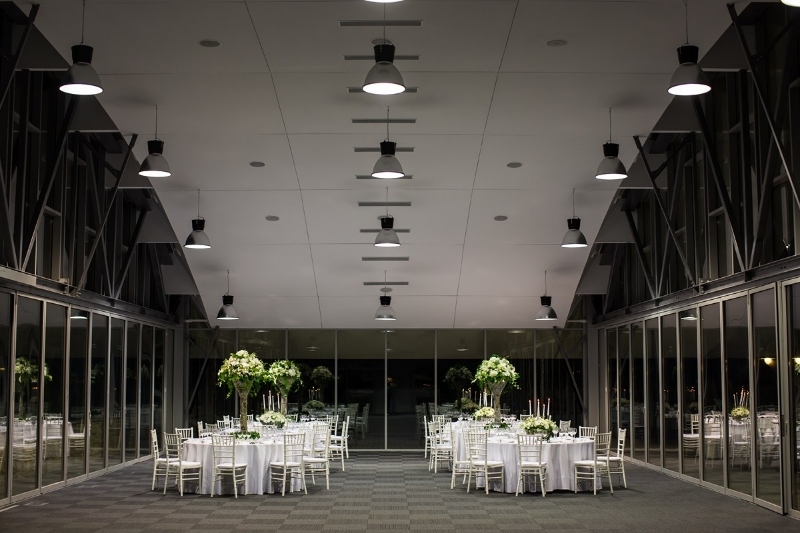 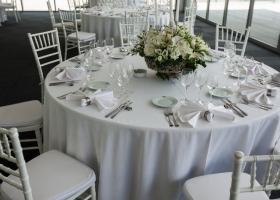 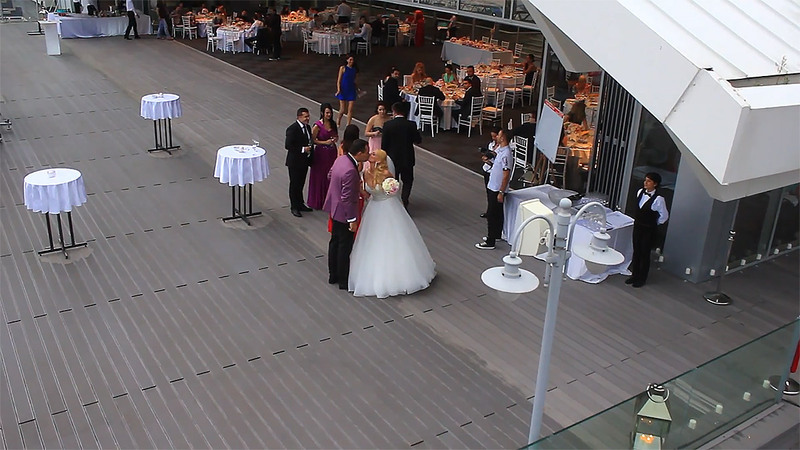 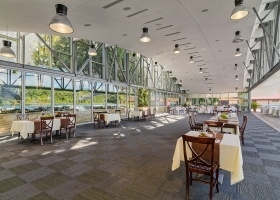 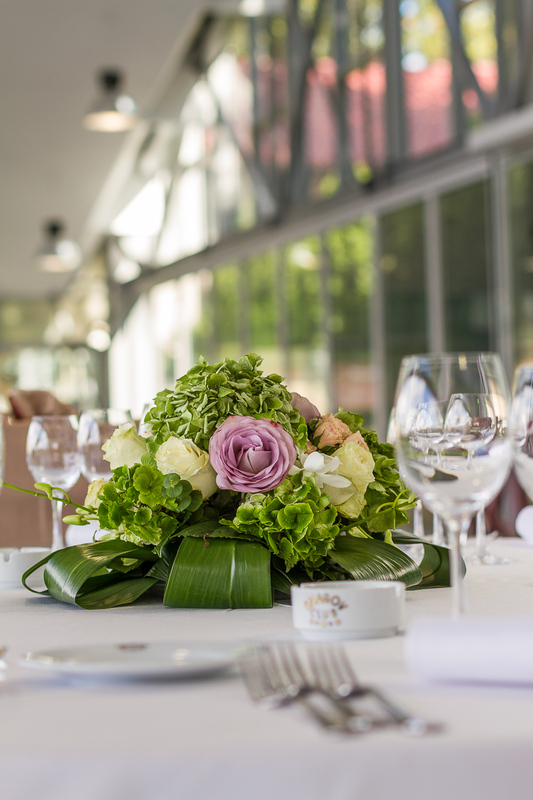 It is the perfect place for banquets for 100 to 150 guests in any season; during summer, it can be extended to include the Pier (of 50-100 seats at the table and 28 seats on the couches) or even the Versailles Garden. 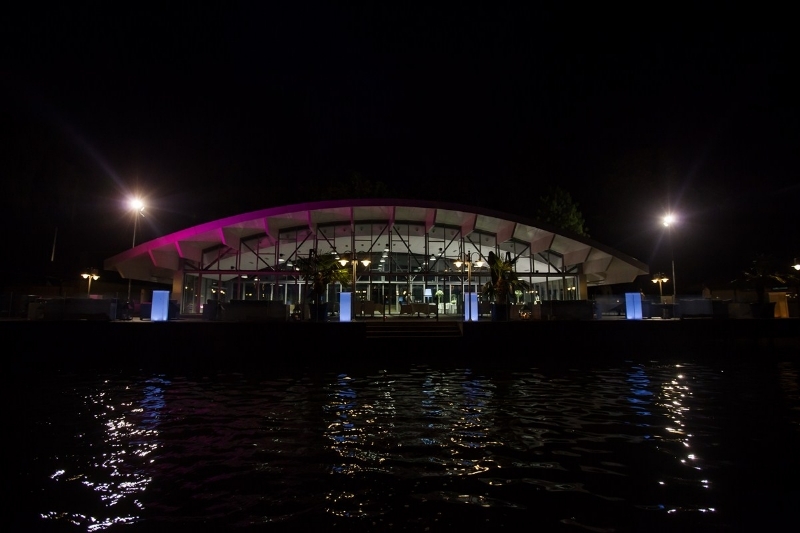 At night, the glass walls let the beauty of the moon and stars dancing on the lake mirror get through so you can feel the entire world is yours.